Shortly after writing the blog about my Berlin Wall experience, I visited the Newseum in Washington DC. The Museum displays a historical view of the role of the news media. 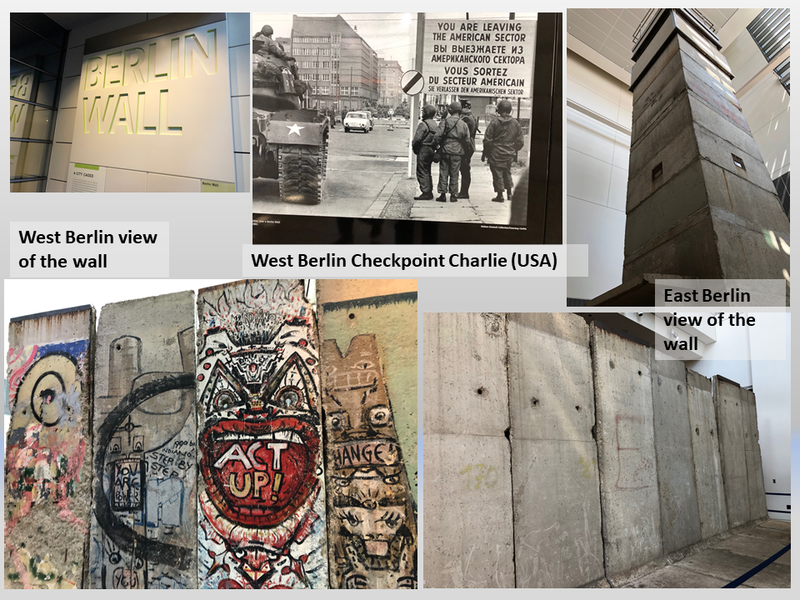 One of their exhibits is the Berlin Wall. They had actual segments of the wall on display that are shown below. I was recently in Washington DC to be certified for the Hogan Assessment tools. Many of our customers use Hogan Assessment for hiring and leadership development. This was the first time that Carol Keers and I were in DC for the cherry blossom experience. It was beautiful. 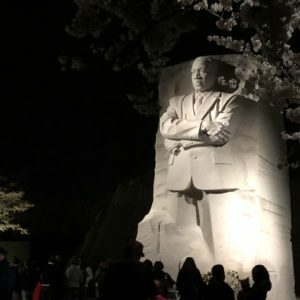 We also took an opportunity to see a moonlight tour of the monuments. It was good reminder of the strength of the USA. The study found that the best–in–class CEO’s have a sense of purpose, are thoughtfully decisive, and action oriented. They are able to see the core issues among the many noisy signals. They are relatively humble and open to others while being able to act boldly when necessary. That description aligns with what we have experienced with our clientele. Many of our clients use Hogan Assessments and share those results with us when we provide coaching. In addition, after coaching a few thousand individual clients, we have seen a number of the same patterns of characteristics that are reflected in the Hogan profiles. We are developing multiple case studies that provide successful coaching approaches for a variety of profiles. We will be addressing the question of “What do I do about it?” that arises after developing new awareness. The case studies will be based on our trove of coaching experiences. When you have a new awareness of the perception others have of you, you can make better choices. The new series will be called Perception Choices™ Process. We have done a similar process in the past. Our goal is to have a more cost effective solution in the future. I will let you know when we get closer to releasing the product. We know the best CEO’s are very aware of how they are perceived, and are choiceful in how they communicate. Carol and I were walking through Central Park in New York City. There are a number of horse-drawn carriages lined up on the south side of the park. 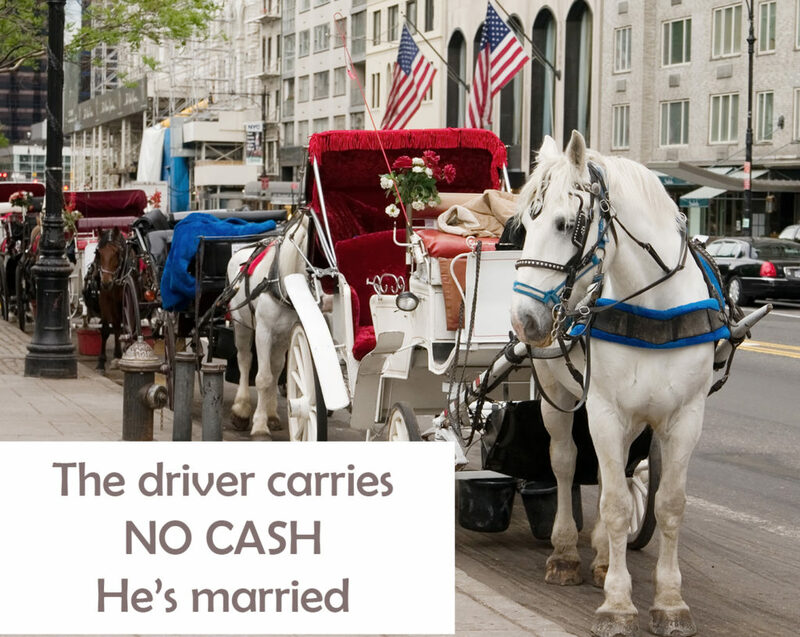 The sign on the back seat of one of the carriages (below) caught Carol’s eye. As a young teenager, I had the privilege of playing golf on one of the finest courses in Minneapolis because, as a golf caddie, I was able to golf on Mondays (which was caddie day and the day they watered and cut the grass). It was challenging to play around the sprinklers and mowers. However, the biggest challenge was combining my golf skills of the drive, approach, and putting needed to achieve a desirable score. Of those three parts of my game, I typically played well in at least one and usually two parts of the game. However, one of those three parts of the game always seemed to fall short. My overall golf score fell short, too. I knew enough about how the game should be played. However, knowing is not doing. I was limited by the fact that I only practiced once per week. It was not enough to make the execution of each part of the game second nature. I know there are many good golfers, professional and otherwise, who perfect their game day-in and day-out. They routinely achieve scores that are out of reach for me. 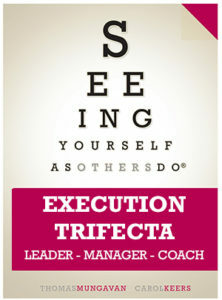 Carol Keers and I, along with Tom Debrowski, former Executive Vice President of Supply Chain for Mattel, are working on our next book in the “Seeing Yourself as Others Do™ series called “The Execution Trifecta“. We are combining Debrowski’s award-winning knowledge of global supply chain operations at Mattel with the leadership development we provided to his team (which helped them achieve their amazing results). 1) The drive from the tee to land in the fairway (or green). 2) Taking just the right approach shot to fly over the sand and water hazards to arrive close to the pin on the green. 3) Finally, to sink the putt in the hole with one or two strokes. There are a few golfers who perform all three of the trifecta very well, consistently, and at the same time. They win the game. They have mastered the golf trifecta. The majority of active golfers are like me; good at one or two skills on any given day, and play an average game most of the time. Leadership direction communicated with clearly articulated strategy. Managerial tactics need to be communicated and measured. The coaching role ensures the team has the right people with needed skills and motivation. 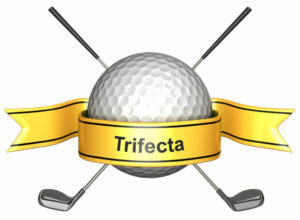 Just as most golfers do not master the golf trifecta, most executives do not master the Execution Trifecta consistently. Only the very best play the execution game well in all three areas. Success is simple – not easy. It is also attainable. Debrowski attributes the coaching that Change Masters provided to his team as one of the keys to his team’s outstanding success; which resulted in being rated the top supply chain organization in the world by an international organization of supply chain executives. The Mattel team demonstrated the execution trifecta. While we progress on the new book, I will share some of the key Execution Trifecta tools in future blogs.